Wigan Athletic have confirmed development squad forward Callum Lang has signed a new two-year deal at the DW Stadium. The 19-year-old forward will now join Oldham Athletic on loan until January. 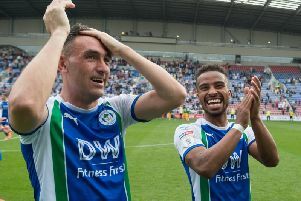 Lang, who has played three first team games for Latics, spent last season on loan at Morecambe, where he scored ten goals in 31 appearances, winning the EFL Young Player of the Month for December 2017 in the process.